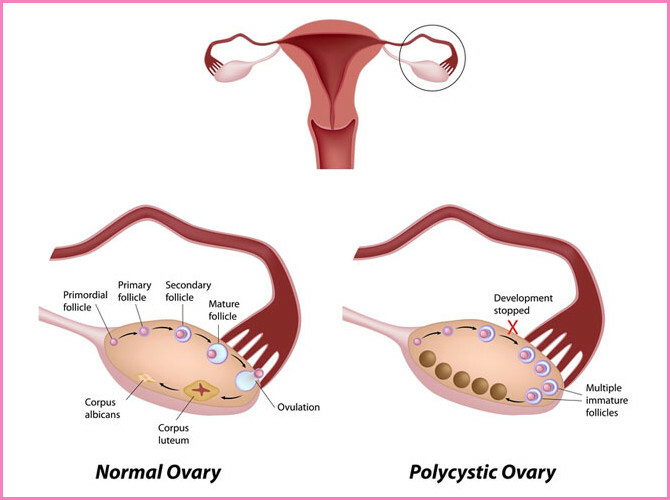 Polycystic ovary syndrome is a problem in which a woman’s hormones are out of balance. It can cause problems with your periods and make it difficult to get pregnant. PCOS also may cause unwanted changes in the way you look. If it isn’t treated, over time it can lead to serious health problems, such as diabetes and heart disease. Most women with PCOS grow many small cysts camera.gif on their ovaries. That is why it is called polycystic ovary syndrome. The cysts are not harmful but lead to hormone imbalances.